Become a local with Emerald Coast Tours Pensacola Walking Pub Tour! 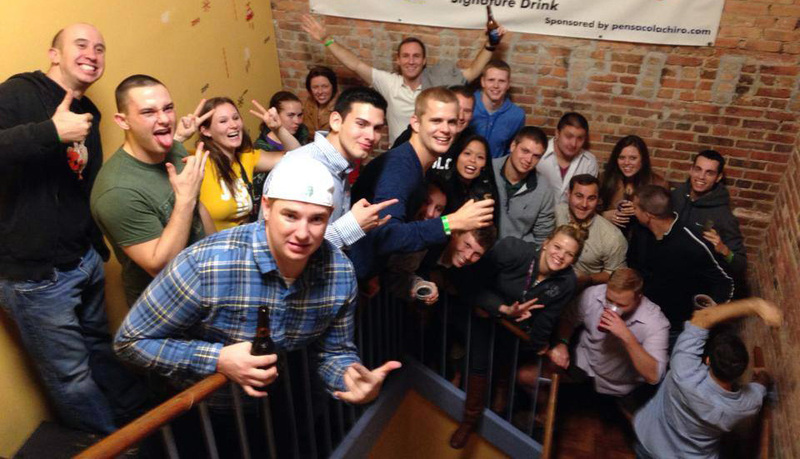 On the one and only ongoing Pensacola Pub Crawl, you will enjoy drinks at some of the best bars in town and learn some of the fascinating history of Downtown Pensacola. Grab some friends and make new ones while you experience Pensacola in a fun and informative way. Contact us about private tours and special rates for groups of 8 or more. Pensacola Walking Pub Tours typically begin at 6:30 pm and conclude around 9:00 pm. Walking is truly one of the most fascinating ways to become accustomed to the city, to become part of the crowd, the history and the architecture. One has to become an urban explorer. French poet Charles Baudelaire had a name for people who roamed the streets, taking in whatever the city had to offer, with no destination in mind: The Flaneur. Philosopher Walter Benjamin described the flaneur as “the ultimate hero of modernity[,] the figure who seeks to give voice to its paradoxes and illusions, who participates in, while yet still retaining the capacity to give form to, the fragmented, fleeting experiences of the modern.” The tour guides on Emerald Coast Tours’ Historic Walking Pub Tours are not just playing a role of the flaneur, they embody the philosophy in their daily lives. They are not only taking Pensacola’s fascinating history and retelling facts, they create memorable stories that connect the modern day city with its historical past. The Historic Walking Pub Tours is a true, authentic flaneur experience of Downtown Pensacola. Reservations are limited, so book early! at our start location (cash only). Frequently asked question regarding walking pub tours. How many pubs are included on the tour? There are four stops on the tour. Do we get a refund if it rains? This tour is rain or shine. Rain makes it more memorable. Can tour guides accept tips? Cancellations must be made 72 hours prior to the booked tour. Within 72 hours of the tour, credit cards will be charged in full. Where do we meet at? We will meet at the Emerald Coast Tour at 18 East Garden Street, Pensacola FL 32502. What makes The Historic Walking Pub Tour different than a Pub Crawl? 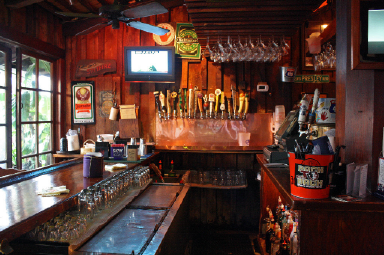 Our Pub Tours are an authentic immersion into the city of Pensacola. Although, we do drink on these tours, drinking is not the sole purpose of the tour, unlike a pub crawl. Drinking is just a part of the experience. Website Designed & Maintained by The Dynamic Dos Marketing Co.